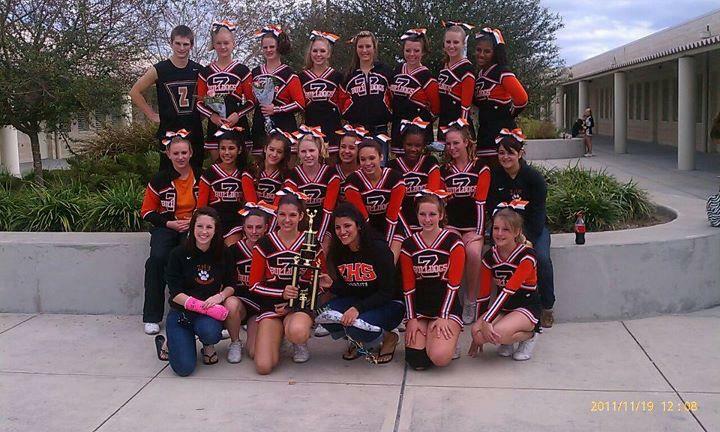 The Zephyrhills High School JV Cheerleaders came home with an awesome 3rd place at the SCA Best of Pasco cheerleading competition on Saturday, November 19. This is huge for the area as they all worked hard and overcame many injuries preparing for this event. Some days they wouldn’t get home until well after school hours and sometimes into the night getting prepared to represent Zephyrhills well. The efforts of this team has not gone without notice. The community is behind you and support you. This is a great example of what hard work, committment and a determination can provide. CONGRATULATIONS to each and every one of you.